The one on the left is near stock. Some bolt on Garrett turbos, just the basic good stuff. The one on the right - 2.8 liter. 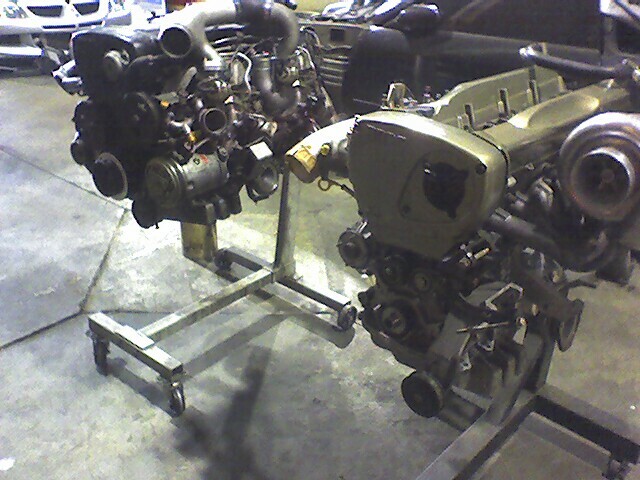 Huge cam, ported head. For sale. Less turbo charger and intake side. Long block.